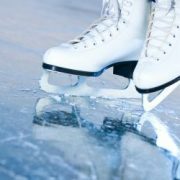 To celebrate winter in Bathurst, in conjunction with Council’s Winter Festival, we’d like to go ice skating and we’d love for you to join us for a dedicated Bathurst Towing Ice Skating Session on Tuesday 11th July at 7pm at the Macdonalds Bathurst Ice Rink in Kings Parade. Winning tickets is fun – grab some coloured pencils and begin colouring for your chance to win a double pass to join us! Entries must be received by Friday 7th July, with winners announced via our Facebook page on Saturday 8th July. Good luck!! https://bathursttowing.com.au/wp-content/uploads/2017/06/IceSkatesm.jpg 250 400 bxt3838 https://bathursttowing.com.au/wp-content/uploads/2016/10/logo-300x138.png bxt38382017-06-28 19:38:432017-06-28 19:38:43It's Winter Competition Time!